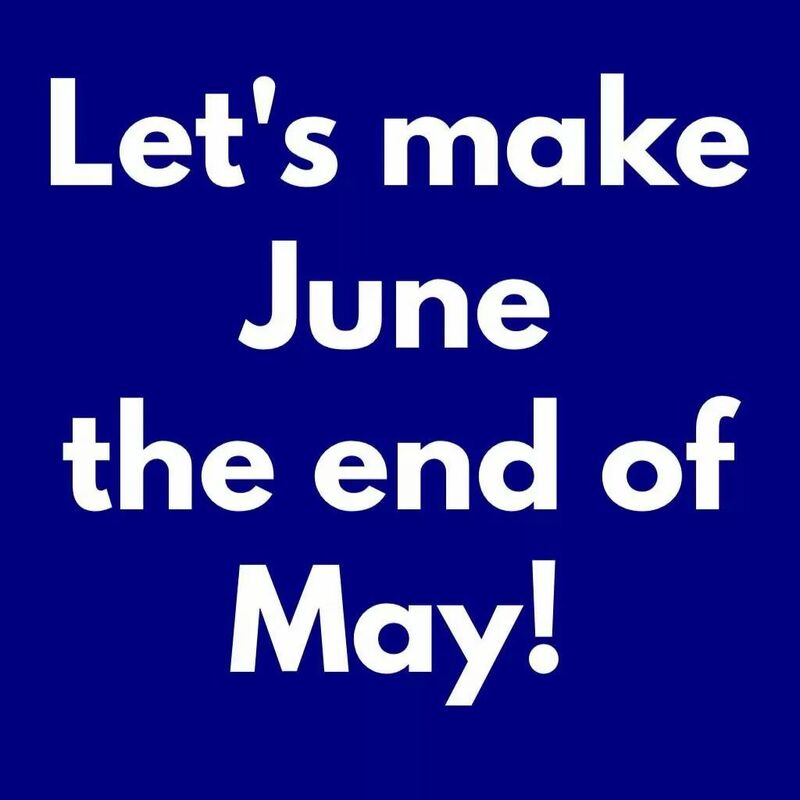 Theresa May [Image taken from Twitter]. Today we have yet more evidence that Theresa May and the Conservative Party are simply incapable of running an election. Now that we are all wise to the silly “strong and stable” brainwashing technique Mrs May is trying to force on us at every opportunity, it gratifies This Writer’s heart to hear the choruses of “Weak and wobbly!” echoing around this great country of ours, every time she makes a speech on TV or the radio. The people have got the message – but it seems Mrs May has not. In her responses to interviewers, her lack of interest in her own surroundings, and in her party’s stage-management of everything she does, we can see that this is a woman who is out of touch and out of her depth. She should not be in politics at all. @MagsNews @christopherhope 100% correct. That's my workplace, she didn't arrive until we'd all left for the day. Everyone in the building past 6pm was invite-only. That’s right – this was another 100 per cent stage-managed all-Tory event in which no dissenters were allowed. In other words, it was propaganda – not news. 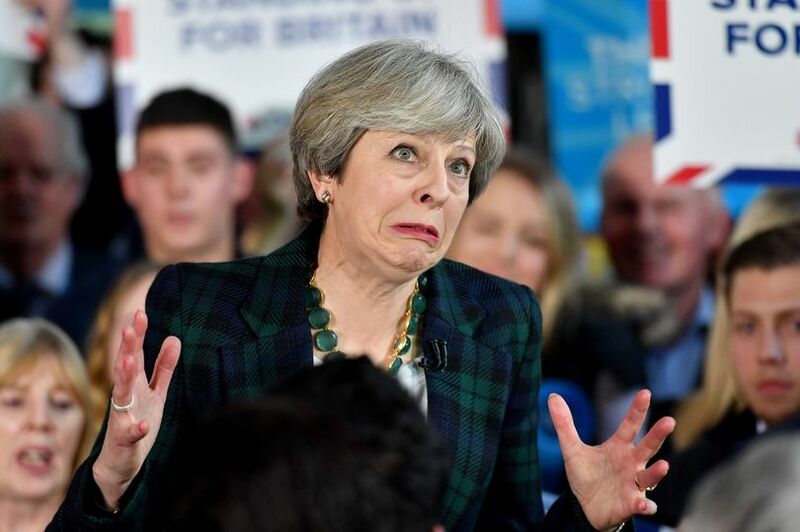 Like I said before she doesn’t want to win, she would rather let Jeremy Corbyn do the hard work so that when the next election comes around, should they win, they can can fleece the country more without the Brexit headache, basically they want all the rewards without lifting a finger! By the way yesterday I lost my voluntary job because the small charity I worked for has lost it’s funding thanks to the Greedy Tories, I am still in two minds whether or not to carry on living. All the trauma I went through as a child was all on Thatcher’s watch, if the children’s home I was in had not been closed down, I wouldn’t have been forced to move to one where I was molested and raped. As it was between 9 yrs and 16 yrs I was moved 11 times. The voluntary job might not have seemed much to anyone else but I felt safe and productive for 10 yrs, now I am expected to just pick up and move on, I tried but all the charity shops near me have turned me down because they ” have enough people from the DWP” to do the work. As far as being in two minds whether to carry on living is concerned, you know my position on that – you do, and you put it on the government to make your life as comfortable as possible. As regards charity shops using “people from the DWP”, well, I’ll comment after your list. The Tory Manifesto: 1) Insult non-Tories, particularly JC 2) Keep repeating the words of their Speech Writers “Strong”, “Stable”, Glorious Future”, “United”, “Together” etc. 3) Er, there is no 3). Most of these are big names who should know better than to conspire with the Tories to put people out of paying work (by giving jobs to people on Workfare who receive only a fraction of what they would if it was a full job). Is it time for another shame campaign against them? That is, after all, what they try to do to others. It seems no one really wants to get involved in the local or general election round here, the only political ifs so far pushed through my door has been from an independent standing for the first time in the local elections, not even a single banner in a garden let alone on the big billboards. It’s all about the county council elections here – except on the doorstep people are talking about general politics too. I saw a sponsored ad for my local MP today on Facebook, though, so perhaps everybody is simply moving their campaign online? It all seems a bit too contrived to me and I have a sinking feeling. When we win the election is when Momentum has its work cut out. What the right is expecting is that having won, many of the grass roots supporters will be lulled into a false sense of security. Membership will drop. Less people in the country watching what goes on. Right wing Labour back benchers will join the Tories in making government impossible for Corbyn. How can you say the government is not stable? All those U-turns has it spinning like a gyroscope. Although I’m loathed to agree with May, she does have a point. We DO need a strong and stable Government – but one that only Labour can provide. If Mrs May wins(the General Election),Boris will be pulling the strings.I have heard that Boris is a “nasty piece of work”! Listen to Professor Kate Pickett as she tears apart Tory welfare reforms explaining what damage it is doing to poor, elderly, sick and disabled people.